Mostly Gherkins or Tomatos, some 16mm. Most with LEDs, Some RGB. 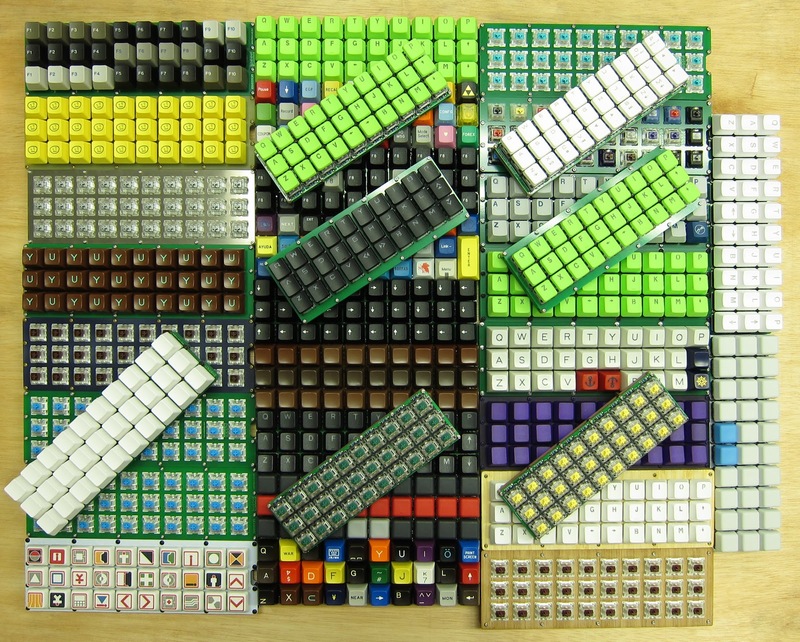 There are actually 34 keyboards pictured. I have another half dozen that aren't in the picture.